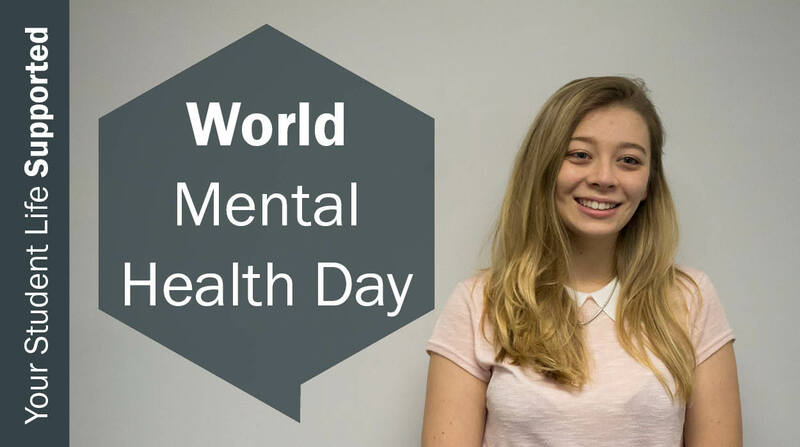 Rachel from the Health and Wellbeing Team talks about World Mental Health Day and gives advice on maintaining your mental health whilst at university. World Mental Health Day is on Tuesday 10 October and all week at Cardiff University we are promoting awareness of mental health through ‘Mind Your Head Week’ organised by your VP Welfare Officer, Nick Fox, to get people talking and help reduce the stigma of mental health. ‘Mind Your Head Week’ has raised awareness through providing activities, games and information. So what’s the reason behind all of this? The World Health Organisation (2011) estimated that approximately 450 million people worldwide have a mental health problem. According to the Office for National Statistics (2001), 1 in 4 British adults experience at least one diagnosable mental health problem in any one year, and 1 in 6 experiences this at any given time. Mixed anxiety and depression are the most common mental disorders in Britain, with almost 9% of people meeting criteria for diagnosis and between 8-12% of the population experiencing depression in any year. Look around where you are sat now reading this – that means that if you have one person to your left and two people to your right, the likelihood is that one of you will need support with issues such as depression and anxiety. Mental health problems affect the way you think, feel and behave. They are problems that can be diagnosed by a doctor, they are not personal weaknesses. Anxiety and depression can be severe and long-lasting and have a big impact on people’s ability to get on with life. Maintaining your wellbeing is all about striking the right balance. Read our blog on Living a healthy University life here. Check out our Wellbeing playlist for relaxation techniques and tips to counter anxiety and depression. Our Counselling, Health and Wellbeing Service are located at Student Support, 50 Park Place. We are here to help you with any problem, regardless of how big or small you feel the problem might be. We have friendly and approachable staff who are able to listen to you non-judgmentally, in a safe and confidential space. If talking to a member of staff is something you are unsure about, why not chat to one of our Student Wellbeing Champions? They are trained student volunteers who can signpost you to support, offer you a peer ear and give you basic health and wellbeing advice. Find out more about them and how to get in touch with them here. If you would like to see our Champions in action, check out the video below. If you are feeling suicidal or at risk of harm we would strongly advise you to make an urgent GP appointment to discuss this. If you are yet to register with a GP, please find a GP by clicking here. We would also encourage you to talk to a friend or family member about how you are feeling or to contact a helpline for some support – numbers are provided below. Call free. Available 24/7 in English on 116 123, or in Welsh from 7pm-11pm on 0808 164 0123. Available 24/7 on 0800 132737. Too many people are made to feel isolated, ashamed and worthless as a result of their mental health problems. Fear of negative reactions to their mental illness stops 32% of young people with a mental health problem from even applying for further education. We all have a part to play in breaking the stigma surrounding mental health, and in making it easier for those with mental health problems to make friends, work and lead a full life. Cardiff University has teamed up with Time to Change, a growing movement of people working to change how we all think and act when it comes to mental health. We want any student with a mental health problem to be free of fear and to have equal opportunities in all areas of life. We want to end stigma and discrimination, and to encourage students to talk about their concerns to one another as part of a supportive University community. Simply talking about mental health problems can help strengthen relationships, aid recovery and challenge the stigmatising stereotypes that surround mental illness. It can also help to break down some of the common stereotypes that exist and take the taboo out of something that can affect us all. Remember: Everyone’s attitude makes a difference. Your attitude makes a difference.